Thanks for dropping by. As far as I know, no I do not have amalgam fillings. I started oil pulling with organic coconut oil about two weeks ago. At first, I noticed only benefits, whiter teeth for a prettier smile. Now my gums are very sore, throat fees scratchy and I have a sinus headache, particularly around my eyes. 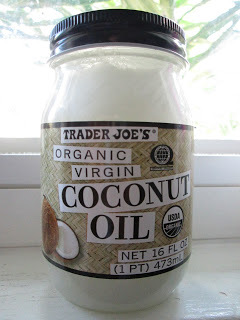 I have been using coconut oil to cook with for a couple of years, and I also use on my skin after showering at night. I’ve never had problems using coconut oil in these ways. I intend to stop the oil pulling and see if these symptoms subside. My bet is that I’m having a negative reaction to the process of oil pulling. Too bad, I liked the bleaching effect on my teeth. On a side note, a friend of mine who tried oil pulling, developed sores in her mouth from the process. She quit, the sores healed, and so she tried again with the same results. We are all individuals with different chemistries and health issues, one persons medicine is another’s poison. People need to be mindful of this! Thanks so much for dropping by and commenting! I hope you regain balance and feel better soon. It’s possible that coconut oil was fine for us (and maybe others too) in certain relatively smaller quantities, but that oil pulling is just too much–for whatever reason(s)? In any case, your closing statement is right on point! Thank you for sharing your experience and opening this conversation. I started oil pulling last week using the 1 tablespoon for 20 minutes instructions. I couldn’t do it. I gagged and had to give up. The next day, Friday, I tried again with 1/2 the amount and was able to swish for 20 minutes. I loved the clean feel of my teeth and mouth…like having just gone to the dentist. I did this again on Saturday and Sunday and by Monday, I was sick. I didn’t think anything about it possibly being because of the oil pulling. Tuesday, I was so ill I couldn’t go to work. I was coughing and weak. Wednesday, I was wheezing and felt burning in my chest/lungs. I tried to go in on Thursday, but had to come home early because the coughing was painful and making me weak. Today is Friday. I will definitely be going to the doctor on Monday if I’m not better but was wondering if anyone else experienced this and what they did? Thanks for sharing and hopefully you are all better by now! I am better now, thanks, but it took awhile and unfortunately, I stopped oil pulling. What does having amalgam fillings do if you’re oil pulling? I was thinking about trying again and using a different oil, but I probably do have those fillings, so if there is an issue, please let me know! I have no idea about amalgam fillings–someone made a comment regarding this but I personally doubt there’s a link. I think you could definitely try using another oil like sesame, safflower or even olive oil. The best thing is- Go to an ayurvedic doctor who will tell you which oil will suit you on examination, but coconut oil won’t be a choice here. The doctor or vaidya will also recommend some dietary changes along with this oil pulling practise. I oil pulled with organic coconut oil for 2 times a day for about 5 days. Since yesterday I’ve had a sore throat and congestion and I wonder if some of the loosened bacteria slipped down my throat along with some of the oil residue. I thought about the oil pulling and noticed after each 10 min period there was a residue that stayed in the back of my throat. One possible benefit of oil pulling for me — my teeth feel cleaner. Yes it seems that many users feel their teeth are cleaner from oil pulling, although myself I am not sure I could tell a huge difference. Either way hopefully your throat is back to normal and that it was a minor nuisance! Hi similar issues but am at work on a 13 hrs shift !! What has amalgam fillings got to do with it ?? I have a coconut allergy, and it was years before I had to cut coconut oil out of my diet because I didn’t seem to react to it. I’m no expert, but it seems allergens can build up in the body over time. If you have skin problems, coconut derivatives (they run rampant in shampoos, soaps and moisturizers) could be making things worse. Sounds like either u are allergic or got a tainted batch of coconut oil. All the symptoms u described are exactly what i felt when i had food poisoning once. I started oil pulling with coconut oil to improve my gum health. I was shocked and surprised to discover that not only did it give me more energy (i had chronic fatigue) but it also eliminated my acid reflux, eliminated tartar and my gums got alot better. It also curbed my appetite and my chronic sinus congestion is no more… I can breathe better. I think it also affected my sense of smell and my taste buds. I can smell things better and foods taste richer. Though i have had no negative reaction to coconut oil i will be trying sesame seed oil and sunflower oil as well. Happy to hear it is working great for you! I’ve been pulling with coconut for 12 days and I’m terribly ill. I developed extreme fatigue and tooth abscess were there we’re any. I’m in agonizing pain as I write this from an jaw infection. I do have amalgam filling and some crowns. I pulled this morning, salt water rinses, tea bags to hope to alleviate swelling. Please advise…! Sorry to hear that! I wonder how soon after oil pulling did you start feeling sick? In any case, I would advise you to stop so that your body can bounce back, since it’s obviously having a reaction to it. If you wanted to continue, you might try again some other time, but as for your jaw infection you should get it checked out by a dentist and/or doctor asap. So glad I found this while searching, “Dizzy after applying coconut oil.” Very informative and helpful! I found your blog after doing a search on becoming dizzy after applying Coconut oil. I was so relieved that I wasn’t having some sort of horrible health problem. After getting sunburned I applied coconut oil all over my skin, arms, legs, stomach and back, even my face and neck. I did this right before bedtime not thinking of the energy boost it could produce. I immediately felt dizzy. I did not sleep well, continued to feel “drunker than Cooter Brown,” and stayed so dizzy I had to hold on to the wall to walk. 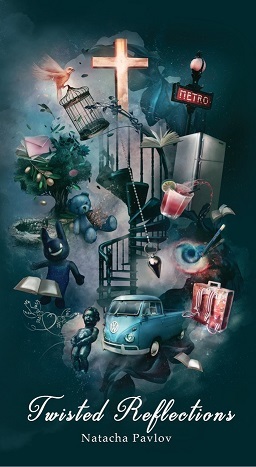 I had vivid, bazaar and frightening dreams. It took a good 12 hours for the feeling to subside. Two days later when I woke up, I used the coconut oil very sparingly on my legs where the burn was still bothering me. I had no problems at all that day. But the previous sensation was so unsettling, I am now very careful of how much oil I apply, ingest, and what time of day I do it. Thank you for posting this. There is very little information out there dealing with this phenomena. I love using coconut oil and would recommend it to others but only if they start with very little and give themselves time to see how their body will react. Thanks for writing. That is indeed quite an experience, and also one that few of us would hear about! One of the great aspects of writing this blog post has been hearing about various interesting cases, which I’m thankful for and hope benefits others. I’m glad that you are feeling better and while we may appreciate coconut oil for a variety of reasons, it can’t hurt to be aware. I felt the exact same way you did even to the strange throwing up incident. I thought it was caused by oil pulling since I had Ben doing it on and off or a week. I always used to get a bad headache after oil pulling for a long time but never have I gotten this sick! My mom called and said she was sick and she had the exact same symptoms as me even the real painful vomiting. I’m guessing we have food poisoning since we both ate at the same restaurant. Idk so weird! Strange indeed! Hopefully you are both feeling all better by now! 2.) You could have a coconut allergy? 3.) Coconut oil pulling does leach into the bloodsteam some and can cause massive yeast/bacteria die off. Could the hang over be die off? 4.) Make sure you are using a pure virgin coconut oil that is HEXANE FREE! 5.) After pulling and spitting out in the trash, make certain to get a glass of salt water and swish that around in your mouth a good bit and spit down the sink – don’t swallow! When I started coconut oil pulling, it made DRAMATIC changes in my body. I had all over body aches and this simple detox provided instant relief after 30 straight mins of pulling! So, me personally, I’m listening to my body, and my body LOVES this detox! For sure it was not #1. As for the others, who knows which it is (or even a combination?). Are you sure you didn’t just have a stomach bug? The oil pulling could have made it more intense with your body trying to get rid of it i.e vomiting. So actually it may have helped but felt worse..? No I’m not sure that it wasn’t a bug as you say… While it might be possible, either way it was scary enough (still the scariest experience I’ve EVER had) to make me give up coconut oil. My side effects were definitely not on par with what the majority of users seem to experience, thus prompting my post.